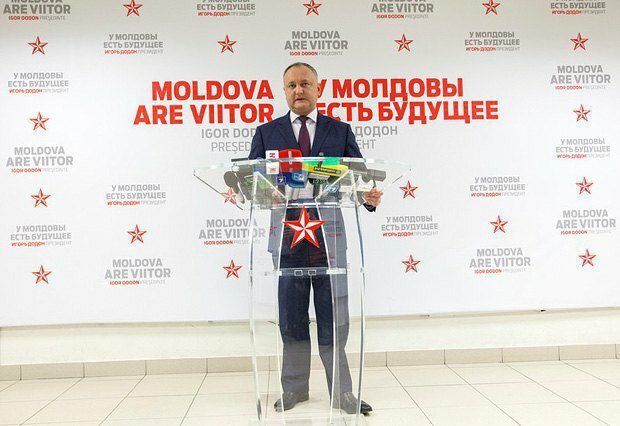 On 23 December, Igor Dodon will be inaugurated as Moldovan president. The big event is overshadowed by the fact that Dodon, who was elected back on 13 November, enters office with even more curtailed powers: his political opponents used the time between the election and the inauguration to cut the president's already modest authority. This benefits Ukraine as it lowers security risks near its border. 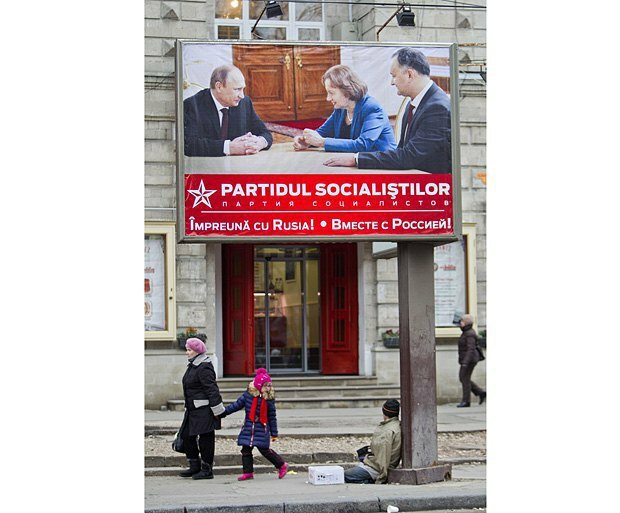 Right after pro-Russian candidate Igor Dodon won the presidential election in Moldova, some experts suggested that his victory should not be seen as a tragedy because the country's political system gives the president minimal authority. In particular, the Moldovan news website Newsmaker.md says that the Moldovan president "represents the country on the international arena, guarantees its sovereignty, independence, unity and territorial integrity, and is the country's supreme commander in chief". In peace, the army is subordinated to the defence minister, who is also in charge of the army and manages it with the help of the General Staff. The president may announce partial or general mobilization, subject to parliament's consent. The president will overtake control of the armed forces only in case of a military aggression. Also, the president may send any law for reworking to parliament and refuse to promulgate it. But if the document is passed repeatedly by parliament and sent back to the head of state, the president will have to sign it even if not a letter was changed in it. All international agreements reached by the president are subject to parliament ratification. Otherwise, all key decisions in a parliamentary republic are taken by parliament and the government. The president exercises most of its authority by coordinating his or her steps with other branches of power. The National Bank government and the heads of the Audit Chamber and the National Commission for Financial Market are nominated by the speaker and appointed by parliament. The Central Electoral Commission (CEC) consists of nine members, eight of which are appointed by parliament and one by the president. The CEC chairman is elected by a majority of CEC members. Ambassadors are nominated by the government and accredited and appointed by the president. So, the head of state does not have much independent power. For example, he or she can unilaterally grant citizenship or cancel it, award (including with an honorary rank) and assign a diplomatic rank. 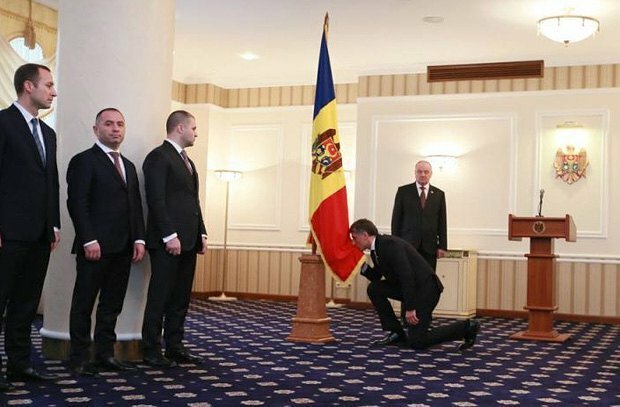 What is more, the outgoing Moldovan authorities used the 41-day pause between the election and the inauguration to limit the president's already modest authority. In particular, during this period Dodon lost his own prosecutor-general. On 8 December, then incumbent President Nicolae Timofti signed a decree to appoint Eduard Harunjen for a seven-year tenure. Dodon immediately said that he did not recognize the lawfulness of the new prosecutor-general's appointment by the president while his supporters demanded that the Constitutional Court check the legality of the presidential decree on this appointment. However, the court ruled that the appointment was lawful. Also, Dodon no longer has any control and influence on the country's main special service as control over the Service of Information and Security (SIS) drifted from the president to parliament. The 9 December bill to this effect says parliament will appoint the SIS director for a five-year tenure. 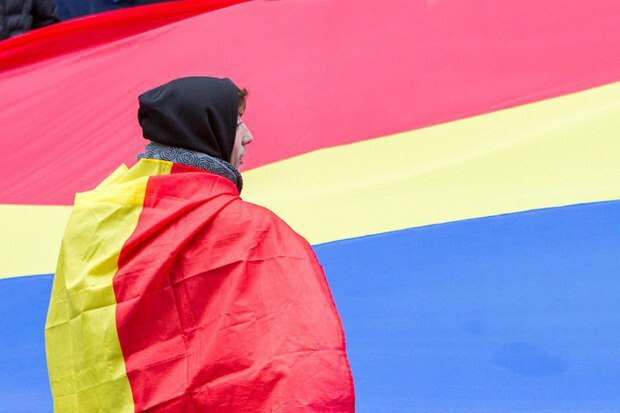 However, Dodon is likely to exercise his right to call a national referendum (he promised the Russian and pro-Russian audience to raise the question of Moldova's further course "so that people could decide where we should go: westwards, eastwards, or we should be friends both with the East and West"). However this referendum would be non-binding and parliament (where Dodon does not have a majority) can ignore its results. In the situation like this, "the king turns out to be absolutely naked". Dodon's only hope to see his election promises implemented, especially those concerning foreign policy, is to form parliament "to his taste". For this, Dodon is likely to try and cause a parliamentary crisis to secure a reason to disband parliament and call an early parliamentary election. Besides, Dodon may be pinning hopes on local oligarch Vladimir Plahotniuc who has influence all sectors of Moldova's life for a long time. And here the businessman's personal geopolitical preferences would have to be taken into account. Watching how events unfold in Moldova, Kyiv is most concerned about its future foreign and security policy. In this context, Dodon's loss of control over the SIS is a good sign as it minimizes the risks to Ukraine's territorial integrity from the south. What is important is that Kyiv and Chisinau have been cooperating (quite successfully) in apprehending Moldovan militants (including those from the breakaway Dniester region) heading to join the war in Donbas or returning from there. The two countries' law enforcers regularly shared information on potential militants and Moldova-based masterminds of separatism in Ukraine. By the way, let me remind you that back on 6 April 2015, Dodon's supporters participated in the so-called "Bessarabia congress" in Odesa where they read out their leader's welcome speech. LB.ua has learned, Dodon is still listed as a persona non grata in Ukraine. Also, it was the SIS which practically beheaded the Russian military contingent in the breakaway Dniester region: Russian officers from the Dniester contingent arriving from Russia at Chisinau airport were sent back while the servicemen staying in the region were only allowed to leave. Thus the Russian military contingent in the Dniester region currently has only a handful of senior officers who binge drink on a horrible scale. This significantly cuts the risks of a stab in Ukraine's back from the side of the militarized breakaway Dniester region which has long been a Russian puppet. Clearly, had Dodon maintained control over the SIS, he would have put his protégé in charge of the special service with his first decree. And Moldova's regional security cooperation with Ukraine would have gradually been wound up, with Russian servicemen trickling back to the Dniester region. Besides, the Kremlin propaganda, which is already at ease in Moldova amid the absence of counteraction from Moldovan law enforcers, would have been able to double up its efforts. It would have expanded its audience, working not only for the internal, Moldovan one but for the foreign one – Moldova could become a foothold for the destabilization of the Ukrainian part of Bessarabia, namely Odesa Region. LB.ua's ministerial sources say Russia has adopted a strategic decision to prevent Ukraine from staying in its current borders and will seek to ensure its further disintegration by imposing a federative-confederative system on Ukraine (Moscow's latest statements and following events in Ukraine only attest to this). This strategy will be further implemented despite incumbent Russian President Putin's soothing statements or even his possible replacement (an early election, a change of status, illness, death and so on) because there are radicals around him who are even more extreme than he is. Moldova is assigned its own role in this context: Chisinau should be brought back into the Russian orbit of influence in order to squeeze Odesa Region in a couple of years between Moldova (with its manually-controlled authorities, whose president promised to turn the country into a federation consisting of the absolutely pro-Russian Dniester region and Gagauzia and somewhat pro-Russian Moldova itself) and Crimea which was occupied by Russia and stocked full of arms (where, by the way, the Russian troops practise landing from the sea). Thus, according to the Kremlin's strategic plot, Odesa Region must become a key link in a land corridor from Crimea to Moldova and the Dniester region. So, let me repeat myself, Dodon's loss of influence, including on the uniformed agencies, spells good news for Ukraine. Now we should observe whether he manages to reformat parliament to his taste. And certainly we should look at Plahotniuc's behaviour. Because, as one Moldovan pundit joked when he talked to LB.ua, "in Ukraine, there is an oligarchy, in Moldova, there is a monarchy".